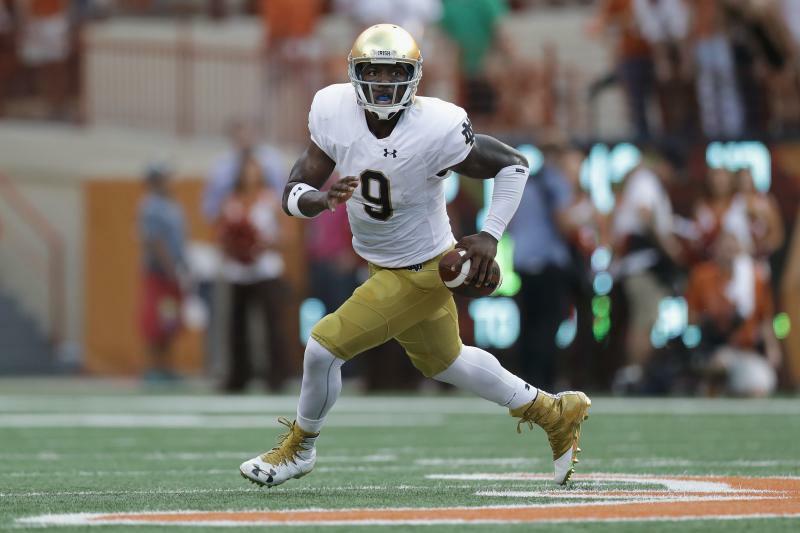 Former Notre Dame quarterback Malik Zaire is reportedly considering transferring to the University of Florida. Bruce Feldman of Fox Sports reported Tuesday that Zaire is waiting on a potential SEC rule change that could pave the way for his transfer to the Gators. Zaire is a graduate transfer, which should allow him to play right away under normal circumstances, but Florida presents a unique challenge. According to Alex Kirshner of SBNation, Florida added two graduate transfers who didn't meet academic benchmarks in 2015, which resulted in the school being banned from having graduate transfers until 2018. That rule can be changed by a majority vote within the SEC, but it would require the Gators' rivals lending them a helping hand of sorts. AAU - Travel to Kentucky, New York, and Florida this summer. Jason Smyth - despite 10% vision, he is seriously quick!